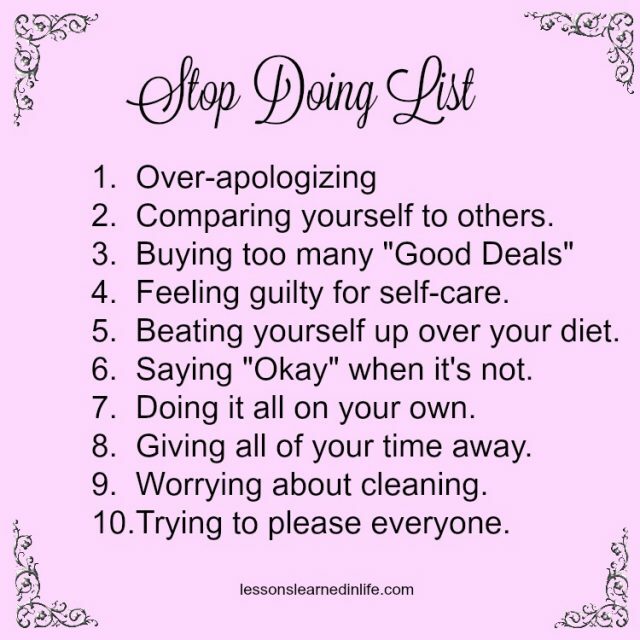 Stop Doing List: 1. 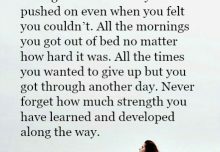 Over-apologizing 2. Comparing yourself to others. 3. Buying too many “Good Deals” 4. Feeling guilty for self-care. 5. Beating yourself up over your diet. 6. Saying “Okay” when it’s not. 7. Doing it all on your own.8. Giving all of your time away. 9. Worrying about cleaning. 10.Trying to please everyone. 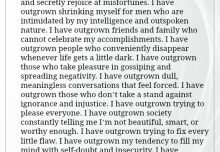 I have outgrown many things. 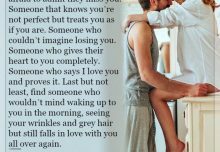 Someone who gives their heart to you completely. 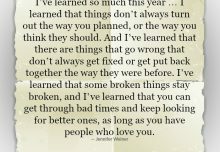 I learned so much this year.